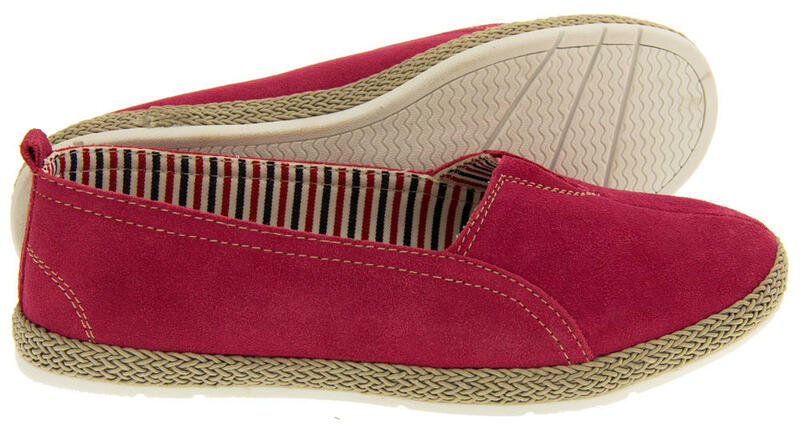 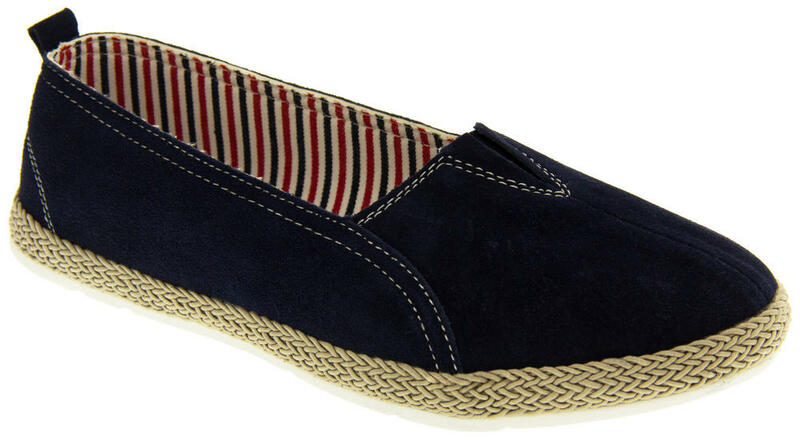 Gorgeous summer pumps from Coolers with a real suede leather upper and contrasting stipey lining. 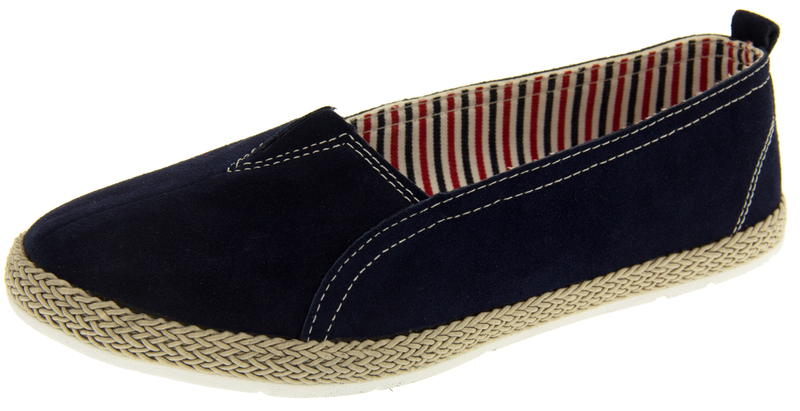 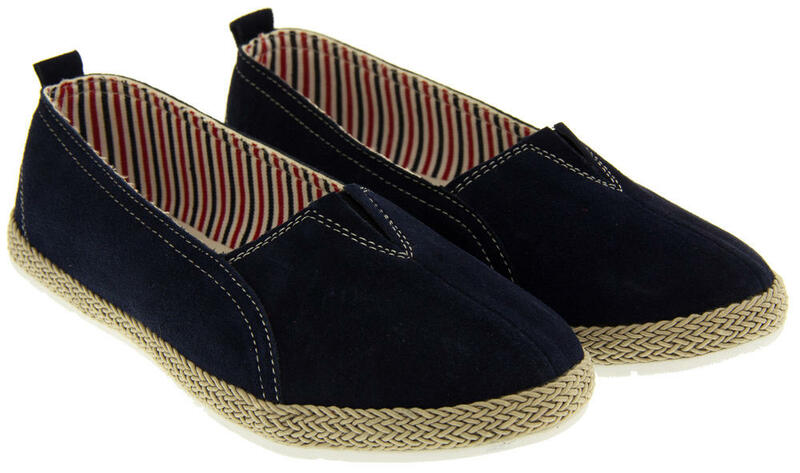 Made in an espadrille style they are lightweight and easy to pack, and have cushioned insole and slip resistant outersole. 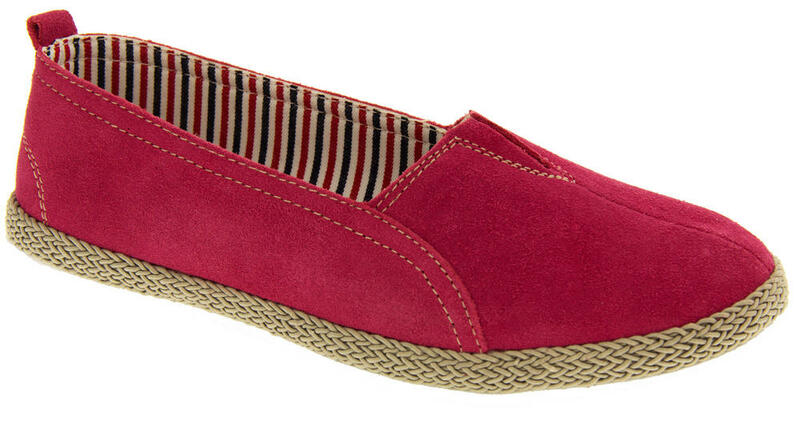 These casual flat shoes are perfect for summer. 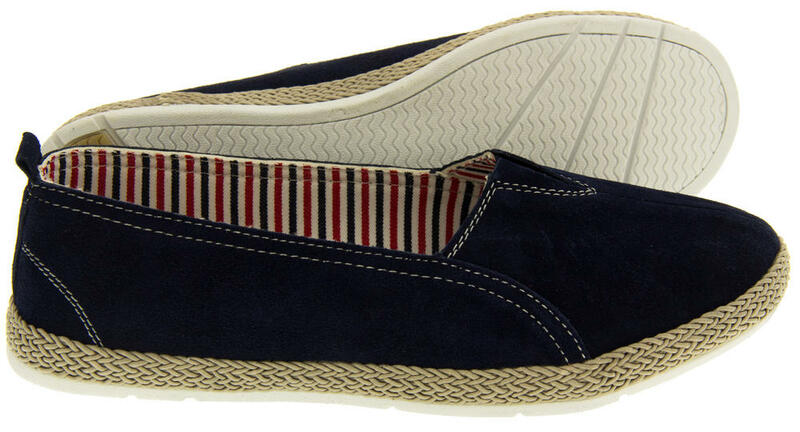 Wear on holiday or just for casual summer days out.